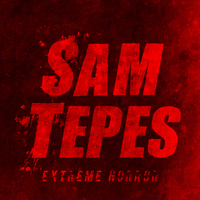 To ask Sam Tepes questions, please sign up. "There are monsters everywhere! Ethan knows they exist but it is difficult to see them as they disguise themselves as humans. He avoids them at all costs.
" A chimerical search for answers. The conclusion was fairly predictable, but I was still mesmerized by this hallucinatory novella. " We’d love your help. Let us know what’s wrong with this preview of The Hottest Gay Man Ever Killed in a Shark Attack by Douglas Hackle. Jack wrote: "Hey, Sam! Good to see you on here!" Thanks for making the connection. Hey, Sam! Good to see you on here!